Vince Lawrence is the Chief instructor of Makoto Aikido Club and a principle of Aikikai Zen Ten. He holds the BAB coach level 2 and has been teaching for over 12 years. Along with teaching adults and juniors at his local clubs Vince has been teaching students aged 5yrs to 18yrs at the prestigious Taunton School for over six years and has recently started teaching the students of Heathfield School. Vince started his Aikido career in 1981 under Sensei Peter and Sensei Marta (tomiki aikido) at Ferndown in Dorset. Having trained for just under three years he moved away from the area and didn’t continue training due to work commitments and a new family. 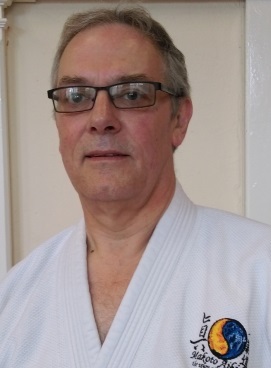 Vince returned to Aikido in 2000 and joined the ki federation of Great Britain under the tuition of Sensei Paul Brown (3rd Dan) and Sensei Ken Williams, a direct student and personal assistant to Kenshiro Abbe Sensei, Koichi Tohei Sensei and many others. He was graded first Dan by Ken Williams in 2005. 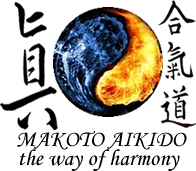 In 2006 he joined Aikido For Daily life headed by Quentin and Piers Cooke. He was graded 2nd Dan in 2007, 3rd Dan in 2010 and 4th Dan in 2013 by Quentin and Piers Cooke. In 2016 Soke Gwynne Jones Founder and Principle Instructor of Shin Gi Tai Aikido Society awarded Vince his 5th Dan. It was in 2010 that Vince first met Sensei Frank Burlingham, who has been a massive influence on his aikido career. They became great friends and Vince attended as many of his courses as he could and hosted courses of his own in Taunton. During late 2016 they decided to merge and together created Aikikai Zen Ten. Norton Fitzwarren Village Hall Station Road, Norton Fitzwarren, Taunton TA2 6BD.